In our latest update Costa Cruises have now released the final fatalities and in total 5 guests from the Costa Fascinosa lost their lives, 4 from Italy and 1 Russian. There are a further 8 guests who were injured during the attacks in Tunis, Tunisia, they are receiving medical at local Hospitals. Costa Cruises has released more details and its now official that 3 passengers from the Costa Fascinosa have keen killed from the deadly attack on the Bardo National Museum. Along with fatalities from the MSC Splendida which was also docked in Tunis at the time it brings the total count of cruise ship passenger deaths to 15. This is a tragic day for the cruise industry and the world. “With great sadness we regret to report that 3 passengers of the Costa Fascinosa are amongst the victims of this barbaric and horrific terror attack in Tunis, and further 8 guests are injured. In addition 2 remain unaccounted for. We strongly condemn the attack on democratic Tunisia. Our deepest sympathy and our condolences go to the victims and their families. We share their sorrow. Our team in Tunis is currently taking care of the companions of the victims and the 8 guests who are being treated in hospitals. A further Costa management team is supporting our crew and our guests on board. In the meantime, Costa Fascinosa has left Tunisia and is currently at sea. We are in constant contact with the Italian Government and the security authorities of Tunisia as well as of other countries. We would like to thank the Italian Minister of Foreign Affairs and his structure for their co-operation”. In a tragic attack in Tunisia which has killed tourists from several countries has also involved passengers from a Costa cruise ships which was docked at the capital city during the horrific event. 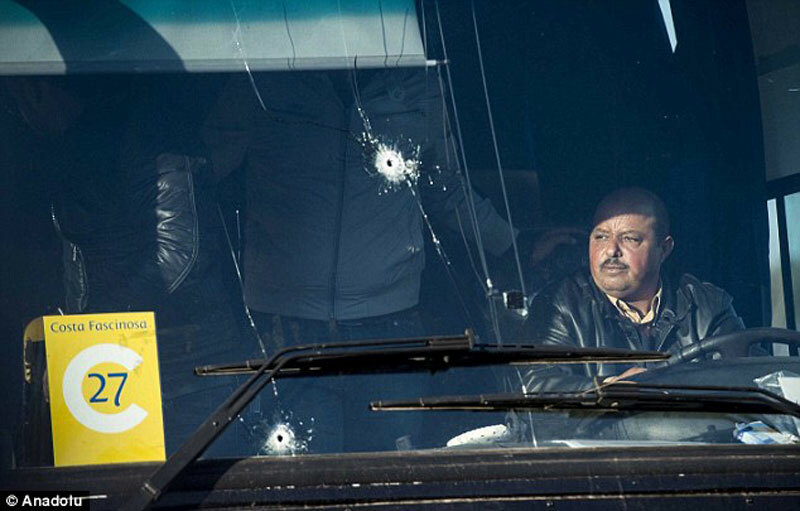 On March 18th there was a terrorist attack on Tunisia’s largest Museum in the country’s capital of Tunis. The deadly attack has sadly killed at least 19 people including 17 tourists and now its known that 13 cruise passengers from the Costa Fascinosa cruise ship are still missing. Costa Cruises said in a statement that there were guests that booked a shore excursion into the city that could have included a stop at the Bardo Museum. The cruise line states that all shore excursions in Tunisia had been called back to the ship so that all guests can stay safe. Costa stated “The safety of our Guests and Crew both on board as well as during shore excursions is the top priority for Costa.” Security was increased around the port and the Carnival owned cruise line already has 12 Costa Care Team members and 2 Costa headquarter directors liaising with the local Authorities to ensure the appropriate assistance is granted. March 19 – Costa Crociere confirms that Costa Fascinosa left Tunis port at 1.55am. The Captain reported that there are still 13 passengers who did not return back onboard at the time of departure. 12 Costa Care Team members and 2 Costa headquarters directors are already operative in Tunis to liaise with the local Authorities and to ensure the appropriate assistance is granted. 3 additional Care Team members will reach Tunis tomorrow morning. The Company is in close contact with the Italian Ministry of Foreign Affairs, Local Security Authorities, the Captain of Costa Fascinosa and our local Port Agent for a continuous assessment of the situation on site and its evolution. Costa Crociere expresses its sympathy to all the people and their families involved in today’s tragic event. Costa Cruise is providing care and assistance to those loved ones and families who are related to the missing passengers. As a result the Costa Fascinosa’s original departure from Tunis was delayed and the vessel set sail at 1:55 AM with still 13 passengers missing. There are 3,161 guests cruising on the Costa Fascinosa and the 114,500 gross ton ship is on an 8-day cruise which departed Civitavecchia, Italy on March 16th and ending back there on March 23rd. This is a developing story and Cruise Hive will keep readers informed. our thoughts go out to the families and loved ones at this difficult time.